To raise money for Red Nose Day, the children came to school dressed as their favourite joke. There were lots of great outfits and awesome joke-telling. 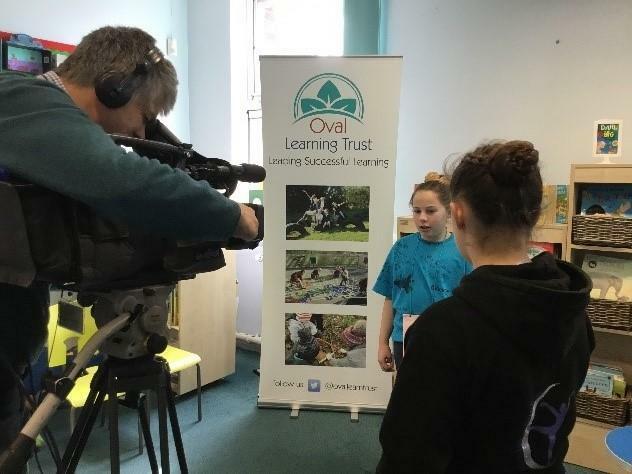 It even attracted BBC East Midlands Today to come and film some of the jokes – it is great to see children from our school speaking so eloquently and enthusiastically. It demonstrates lots of our positive emotions in action and lots of money was raised for a good cause. Mr Ellis agreed to donate 25p every time he laughed across the day. This resulted in £41.75 being donated to Comic Relief! If you are cold, why should you stand in the corner? Because it’s always 90 degrees! What is a footballer’s favourite tea? A penalty! What do you call two robbers? A pair of knickers!